These are almost entirely empty myths, as I shall demonstrate. Since his unholy mode of his very ‘untimely’ death (around 10 years before he prophesied), there were an increasing number of critical voices in articles, comments, postings and articles in the media – both in print, on TV channels and on the web. This increased considerably when his vast private hoard of goods and valuables was discovered some weeks ago. 1) Philanthropy by whom – and for what exactly? That he always claimed to own nothing or have property himself – that he had never earned a single pay-packet in his life or done any real labour (see here) – was no hindrance to his propagandists in insisting everywhere that ‘Swami gives everything’. But this was just a smokescreen. He gave nothing but certain privileges in his ashrams, apparent ‘holy blessings’ and no shortage of what are still wrongly believed to be genuine diamond rings (not one has been assayed as such!). Recipients responded with huge donations, and there is full documentation that huge amounts of money donated (according to Sai Baba’s constant repetition) was given only for the benefit of education, health, and assistance to the very needy. But vast sums were used wrongly, such as in developing his many private apartments, his self-glorifying Museums, expensive Disneyland ashrams with VIP luxury buildings, showpieces and so on. Money was embezzled in large amounts and how much actually was given or used is not known due to Sai Trust total secrecy. However, after the huge hoard of currency, gold, silver, jewels and consumer goods were found hidden away in his rooms, for he had always denied owning anything or even receiving any gifts. 2) Who changed many people’s lives for the good? There is truth in the adage of psychotherapy “The patient has to want to change”. Those who claim he changed them into better persons were often simply deceiving themselves, either because they only felt they were better (a new self-image and conversion to a belief – and largely through his deceptions and fraudulence) or because they did become better as a result of doing the hard work involved of and by themselves. The Sai Baba doctrine insists that all good comes from him, all bad is one’s own doing… which is a complete travesty of human worth, and the megalomaniac self-glorification of a fraudulent ‘God’ figure! Meanwhile, the message of love and peace that the Beatles spread was a thousand times more widely spread than Sai Baba’s. That can have changed people just as much or more than Sai Baba’s constant moralizing discourses ever did. 3) Does a following of millions proves a figure’s genuine worth? Obviously not – many terrible figures in history had followings of many more millions than Sai Baba has ever had (no need to list the hated names here!). 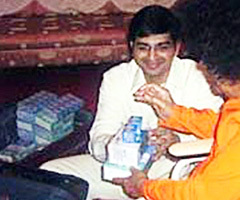 And then, how many millions were followers of Sathya Sai Baba? Newspaper editors never seem to do a minimum of research into this or they would find that guesses range from 10 million likely followers to 600 million and more. Further, Sai propagandists vastly inflate this figure just as the do all others which might make him seem of greater consequence than he actually was. There is no reliable source for asserting that there are more than about 10 million followers in the world, and the number is evidently decreasing much since the revelations of 2000 and even more so since the cover-up of his ignominious death and the subsequent discovery of a vast private, miserly hoard of valuables in his private rooms. Catastrophe predictions reported – Shivarathri discourse in 1991 where Sai Baba massively berated the ‘rumour-mongers’ by almost never takes any steps to refute the rumours himself. Typical Sai apologist – Rita Bruce Sai-VIP a rumour monger – Claimed her dreams of disaster were precognitive – but also reported years ago on their lecture trips to foreign countries that SB has told of an era of love and light to come very soon. The infamous rumour-spreading Christmas Discourse by SSB in 2000 He has long preached how negative rumours are like boomerangs, but then he sets going the absurdly false rumour that those who accused him did so for money, like Judases – but without a shred of evidence! The article below is reproduced in the hope that more readers will get its benefit… this is modern India talking, unlike the mainline India press which regurgitates the basic Sathya Sai Baba propaganda without a thought for investigative journalism (not even using Google search, it seems!) Some few mentions of the controversy are made, but most Indian newspapers ignores or mostly underplays the number and quality of almost every one of the countless allegations against him. I add one comment at the foot of the article. professionals—stood patiently in line for a last glimpse of the man they believed was God. Their faith in his divinity had withstood everything—from charges of homosexuality, a cover-up of murders in the ashram, exposes of his magic tricks, not to speak of the fabulous wealth controlled by his trust. He was, as Katharina Kakar puts it, “India’s Godman of the Twentieth Century.” An anthropologist who taught comparative religion in Germany before she married Indian psychoanalyst Sudhir Kakar and settled down in Goa, Katharina is one of a long series of scholars who were so fascinated with the godman’s charisma that she visited his ashram in Puttaparthi for a closer look. This was in 1995, when, according to her, Sai Baba was already “past his peak”, but his aura was unmistakable. And indescribable: “He knew how to play with the psychology of the devotees—the way he made the crowd wait in suspense, and then made a grand entrance, collecting from the frantic devotees the letters of prayers addressed to him.” Then suddenly he would stop and talk to someone, looking deep into their eyes, creating a certain mesmerising moment. “You can’t train or learn this—either you have it or you don’t,” she explains. And Sai Baba certainly had it: the quality of a rock star. It’s this ingenious blend of active pursuit and playing hard to get that probably won Sai Baba his impressively long list of high-profile devotees, ranging from presidents, prime ministers and central ministers to top bureaucrats, scientists and other professionals. They undoubtedly came in useful when Sai Baba was battling the charges against him by several former bhakts, feels Katharina. “These were serious charges, some of them probably with a grain of truth. But he had good contacts and there was possibly a cover-up,” she explains. “And the charges never stuck, because the devotees didn’t want to believe them..
Not only was Sai Baba the pioneer godman-as-social worker, he had the power to ‘appear’ in people’s dreams. Like Dr Prabhakar Korada, a psychiatrist and professor in Mediciti Institute of Medical Sciences in Hyderabad. Dr Korada, who started off like the bulk of Sai Baba’s professional and modern-day devotees as a sceptic, dismisses the various charges against Sai Baba as “organised anti-propaganda”. The journey of the psychiatrist from sceptic to believer is typical of the miracle that Sai Baba performed on countless souls over the coming decades: the doctor was going through a severe emotional and professional crisis in his life, when Sai Baba appeared in his dreams. “Even in my dream, I questioned him about his magic,” recounts the doctor. 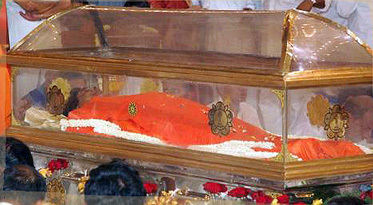 Sai Baba responded by placing a foot on his chest, “as if to feel my heartbeat”. In fact, dream experience itself is not real. It is only an illusion. They are deluded to think that way. You say that Swami appeared in your dream last night. This is not correct. I do not appear in anybody’s dream. When you intensely desire that Swami must appear in your dream and constantly think of the same, that intense desire will assume a form in your dream. God does not assume a form or change into another form. You have witnessed something in your dream. What is it? It is your own self, nothing other than that. You are visualising your own self in the dream state. Further, that I and my various associates, as well as countless other independent persons of consequence are writing “organised anti-propaganda” is an interesting claim- We are definitely anti propaganda, namely – the propaganda the zealous fanatics of the Sathya Sai Organization spew forth without compunction. We are only trying to set the record straight and nothing I have written has ever been shown to be false and nothing I have said about Sai baba or any supporter has been challenged legally… with the good reason that I am very careful how I state my case and am willing to correct any errors that can be proven to me. The Sathya Sai Organization’s official website presents a confused ‘explanation’ as to how Sai Baba, who died long before his 96th year, actually was 96 years old nevertheless, not calendar years but ‘lunar years’! As is usual with them, they always base their face-saving propaganda on the forlorn hope that nobody will check the facts. It is clear to me that they calculated wrongly just so it would produce a result that suited their belief that Sai Baba lived until he was 94.4 lunar years old. Note the amusing discrepancy here too! Ninety-four point four does not even agree with his own words – living until 96, (or to depart at 92 or 93, according to which of his published statements you favour most! He was between 89.5 and 94.4 lunar years old, depending on how one chooses to look at it. This falls far short of the constantly cited 96 years! Another problem is that his birth date was, according to school records, ‘adjusted’ by making it three years earlier than correct (but that is another issue and it would still not save his predictions of his mortal years). It should not go unmentioned, at least, that Sathya Sai Baba has celebrated his birthdays since youth according to the calendar year. He gives calendar year dates for diverse events in his discourses, and no one has EVER mentioned that he reckons anything in lunar years throughout his career. Only now, when the crisis of his false predictions takes on serious dimensions for the believing and donating public, is this dragged out as a vain and flawed palliative… and one which is more likely to harm than save the patient! Everyone knows that a month (the lunar cycle) is between 29 and 30 days. This is based on the Gregorian calendar – which is now the virtually world-wide adopted calendar standard. Even Hindu astrologers seem not to be of a different opinion in general, but some may use the 27 to 28 day lunar month measurements. Now, in their zeal, the Sathya Sai Organization has latched onto the celestially perceived lunar orbit time (conveniently) of 27.1 days (though they they it “may not be correct”!). Now, the ‘lunar year’ is an obscure construction which was never used in dating Sai Baba’s birthdays or any other date announced by him or his ashrams. (Never mind that some fanatics have invented instances where he supposedly used a lunar year calculation but which were never recorded in reliable documents). A year necessarily means a solar year, the time the earth takes to circumnavigate the sun (365 days excepting leap year – the same for the moon, of course, which is a satellite to the earth) . One cannot add or subtract from that year because of lunar phases any more than one can change it because of the apparent movement of, say, Mars or Venus. That some Hindu shastris use such calculations is beside the point and they even in some cases decide to add one lunar months every 6 years so as to approach the correct solar year length! Only now does all this lunar confusion seem of significance to those desperately searching for an explanation to prove Sai Baba was infallible. According to the sathyasai.org website Sathya Sai Baba lived for 30,833 days. This is only a correct calculation (correct IF he was actually born on 23 Nov. 1926, which is hotly disputed – since his registered date in his school record is 3 years LATER!). 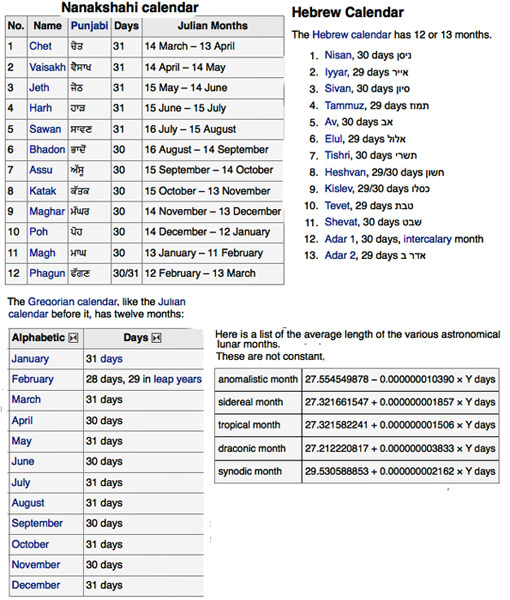 The lunar month averages 27.21 days (by the very shortest or ‘draconic’ reckoning which the sathyasai.org website chose for obvious reasons). The number of days per lunar year is 27.21 times 12 = 326.52 (days per annum) So 30,833 days divided by 326 days per year is equal to 94.56 lunar years. This exceeds the minimum requirement of 93 years, which he twice predicted in separate discourses. Nor does it reach 96 years, which he also stated was the age he would reach – as several commentators agreed he has stated (though he also stated at least 3 other ages for himself). However one twists and turns it, the calculations do not fit the predictionof 96 years, nor that of 93. It would fit with the lifespan Haraldsson reported Sai Baba stated – 94 years, even though that was worked out at year 2020 – nor the other ages he predicted. From 9 Sept 1960 (when Sai Baba was 43 calendar years old), plus 59 years = 2019 AD. He lived until age 84 by normal calendar reckoning, dying in 2011. Eight years short on calendar reckoning (which he always used in public, despite concocted, undocumented rumours that he once or twice did not). One can expect further contortions by the Sai Organization, finding hoary astrological shastris who may contest with esoteric theories. Indeed, the Hindu calendar used in ancient times has undergone many changes in the process of regionalization, and today there are several regional Indian calendars, as well as an Indian national calendar. There is ample room for confusion… and hence deception too. Most of these calendars are inherited from a system first enunciated in Vedanga Jyotisha of Lagadha, a late BCE adjunct to the Vedas, standardized in the Surya Siddhanta (3rd century CE) and subsequently reformed by astronomers such as Aryabhata (499 CE), Varahamihira (6th c. CE), and Bhaskara (12th c. CE). There are differences and regional variations abound in these computations. It is all age-old abacus reckoning, not scientifically precise or integrated into a system anywhere near Newtonian physics. One is reminded of H.G. Wells ‘famous comic character Mr. Polly, who called arithmetic “a flukey science”. 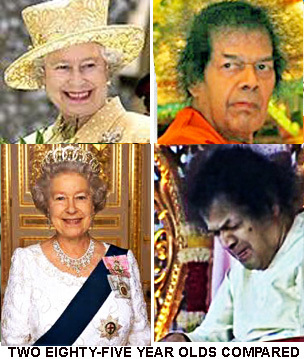 As officially reported, Sathya Sai Baba passed away on 24th April 2011. However much one may try to distort or remove these facts, the lunar year theory will not add up in any shape or form..
Sai Baba constantly claimed omniscience, omnipotence and omnipresence: Some mega-claim, one of many such! Were they any substance at all in it , it would be the hardest act to follow, and any ‘successor’ would find the seat hot! However, when studied very closely with an independently and sufficiently critical eye, Sathya Sai Baba proves to have contradicted himself on a huge number of his statements – which are usually imprecise and ambiguous in any case. He gives different reports of his childhood which conflict with one another in details (see some here), and he most certainly sometimes forgets even who people are who have come to him many times. He also confuses facts he has heard from people in the interview room and reports them wrongly to his students minutes afterwards. Therefore, he certainly cannot be accused of having what is now known as ‘superior autobiographical memory’! He does have strong intuition, ‘cold reading’ of people and more abilities, but his knowledge of facts about people is also gathered by a large network of snoopers and much comes from the intensely private letters devotees send to him, which they apparently forget about. Once people began to write about these miracles and praise Sai Baba to the skies, more and more were attracted The development of this myth has been masterfully exposed by the author Brian Steel in numerous articles, such as Sathya Sai Baba as Storyteller. Sathya Sai Baba was street-smart and more than that, having been able to run wild without any restraints as a child because he was considered a deity (and reports indicate that was probably due to physical hermaphrodism – an incarnation of Shiva-Shakthi and Krishna-Parvathi to the ignorant, superstitious, Hindu-believing villagers.See Sathya Sai Baba – an enigma or a myth? Now that one of his most oft-quoted predictions has failed miserably – namely, they he would live until his 90s – and he has died in a coma, the claim of omnipotence (absurd beyond all credibility anyhow) is shown to be truly hollow. Read on the extensive website Sai Baba Exposed about Conny Larsson and Basava Premanand etc. The death of Sathya Sai Baba was wrongly predicted by him, he did not live into his 90s as he prophesies on numerous occasions! Yet another false boast, and one which confounds all the devotees who blindly believed his words and in his divinity. He died a sick man, in more sense than one! 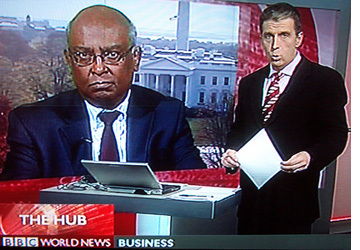 The BBC has announced his death, but adds that he has been accused of fraudulent miracle tricks and sexual abuses. This is an epitaph that will always follow him and, as researchers and historians collect and study the evidence, the accusations and the reason Sai Baba avoided prosecution will become evident and a permanent part of his otherwise largely bogus ‘story’. How did he actually die? Ah! That is the multi-crore rupee question. The medical report states Cardio-respiratory failure. Now that is very neutral medical terminology, but what caused this breathing and heart failure? This happens if one is taken off vital life support. So did he jump or was he pushed? Your guess is as good as mine… those who really know will be tighter than clams if it was a deliberate act by those in charge. If he jumped, then it fitted in extremely well with all the massive planning of the authorities for a big screen send-off, new helicopter pads for VIPs all preparing to descend just today! A miracle of timing from Vishnu Baba, reclining on his serpent bed on the sea of milk? If there is any body one cannot trust in India (rhetorical) then it is certainly the Sathya Sai Central Trust and their minions! See the legally invalid ‘death certificate’ issued by Dr. Safaya here (The Case of the Missing Death Certificate) after which Dr. Safaya resigned his post due to undue pressures that had been put upon him! In fact, ‘heart failure’ is not itself a sufficient description of the cause of feath. 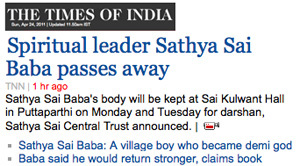 That Sai Baba had lost weight (reportedly was only 28 lbs.) and suffered multiple organ failures is consistent with what most of his victims suspect, that he died of AIDS, hence the mighty cover-up of all details of his hospitalization, duration and nature of his illness and what a proper account would reveal! As I suspected in my blog yesterday, his death is announced on the day that it is widely believed (imaginatively) that Jesus was resurrected – Easter Sunday – suspecting those in power around him to have kept him on support so they could disconnect him on just this day. It seems to make a bigger splash than the crashing fact that he has died and ‘prematurely’ (according to himself). However, he has died and no resurrection is reported! Still, one should not be surprised if some fantasists claim to have seen him risen and in the flesh… there are plenty of lunatics among the indoctrinated and deluded believers in his self-proclaimed divinity and even his most bizarre and beyond-all-credibility miracles! PUTTAPARTHI: Did Sathya Sai Baba have premonition 10 years ago that he would fall seriously ill? Yes, claim his followers. According to them, Sai Baba had predicted in 2000 that he would be indisposed for 40 days but would come back strong to give darshan to his devotees. This Indian sastri lives in cloud-cuckoo land, which is well-populated with Sathya Sai worshippers, including a large number of Indian gurus and swamis. 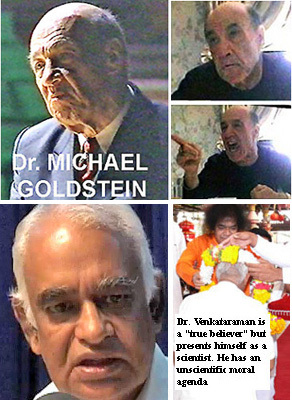 Only one or two have bravely spoken out against Sathya Sai Baba, for they mostly wanted to believe in India’s top dog avatar, while others dared not stand forth due to the extreme harassment that prominent critics have faced in India – especially the world-famous sceptic, Basava Premanand. Sathya Sai Baba Teaches: ‘We are not this body’. Why Are His Devotees Such A Police Security Problem? SATHYA SAI BABA IN INTERNATIONAL MEDIA – CONT. BRITISH NEWSPAPER REVIEWS OF BBC DOCU. ‘THE SECRET SWAMI’ The Observer, The Guardian, The Times, The Independent, The Financial Times, The Daily Mirror, Time Out etc.. The absurdity of what are surely the most excessive claims of divinity made by any living person becomes constantly more evident. A majority of those who have invested their faith – and not least their prestige – in this fraudulent Godhead are still unable to bite the bullet or break the spell. 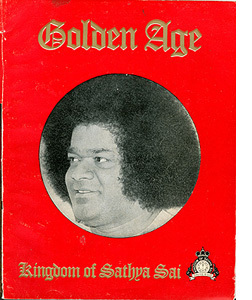 As the facts become more and more known, the entire Sathya Sai Baba undertaking is seen for what it is – a religiously-indoctrinated cultist delusion, despite the good intentions and activities of the genuine people who have followed and supported him. I have a “Task”: To foster all mankind and ensure for all of them lives full of ananda (bliss). I have a “Vow”: To lead all who stray away from the straight path again into goodness and save them. I am attached to a “work” that I love: To remove the sufferings of the poor and grant them what they lack. I have a “reason to be proud”, for I rescue all who worship and adore me, aright. I have my definition of the “devotion” I expect: Those devoted to me have to treat joy and grief, gain and loss, with equal fortitude. This means that I will never give up those who attach themselves to me. Discourse (28 September 1960). Sathya Sai Speaks Vol. I, p. 182. My construction will cover the entire Universe. 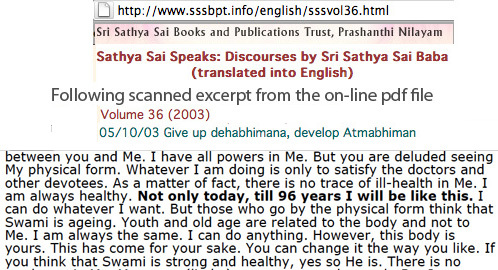 Sathya Sai Baba Discourse, October 1961 p. 120, ‘Sathya Sai Speaks’ Vol 2. Christ declared. Sathya means Truth. ‘He will wear a robe of red, a blood-red robe.’ (Here the baba pointed to the red colored robe he happened to be wearing that day!). He will be short, with a crown (here he points to his hair). The lamb is the sign and symbol of love. Christ did not declare that he will come again, he said, ‘He who made me will come again.’ That ba ba (bleating of the sheep or lamb) is this Baba, and Sai, the short, curly-hair-crowned red-robed Baba, is come. He is not only this Form, but, he is every one of you, as the Dweller in the Heart. The same Divine Compassion that blessed Dharma; saved Gajendra; restored Kuchela; and stood by Prahlada, has come to the Earth as the Refuge of the refugeless; as the Lord of Peace, Harmony and Righteousness; as the Lord of all the Worlds; as the Sath-Chith-Anandamurthi; and as the Puttaparthi Sathya Sai Sath-Chakravarthi – the King of Kings. As quoted in Thought For The Day, K57, published by Sri Sathya Sai Books & Publications Trust, Sathya Sai Baba Discourse, (21 October 1993), Sathya Sai Speaks Vol 26. Sathya Sai Baba Discourse 19-6-1974. p. 227 Sathya Sai Speaks Vol. 12. As quoted by his official biographer, N. Kasthuri, in ‘Pathway to Peace’, p. 64. This is a human form in which every Divine entity, every Divine principle, that is to say, all the names and forms ascribed by man to God, are manifest… You are very fortunate that you have the chance to experiences the bliss of the vision of the form, which is the form of all gods, now, in this life itself. Christmas Day Discourse, Bombay 1970. page 136, US ed. of Kasturi’s Sathyam Sivam Sundaram Vol 3. Were it not for the mind change of Sai devotees the world would already have fallen into complete chaos. The deterioration of mind and man has been very rapid and abrupt, even precipitous during the last fifteen years. That the world is not in total destruction is due to the change of mind of Sai devotees and to Sai’s grace. I know everything that has happened to everybody in the past, everything that is happening now and everything that will happen in the future. Sathyam, Sivam, Sundaram – Part 3. by N. Kasturi. Page 305 US ed. Next to the last chapter. Trust in my wisdom. I do not make mistakes. Love my uncertainty for it is not a mistake. It is my intent and will. Remember — nothing happens without my will. Be still. Do not ask to understand. Do not want to understand. Conversations with Bhagavan Sri Sathya Sai Baba (1993) by Dr. J. Hislop. publ. Sathya Sai Publications and Book Trust, Puttaparthi. Today man is putting his senses to misuse and as a result his body is becoming weaker day by day. He shortens his life-span by his unsacred vision and by indulgence in sensual pleasures. Lakhs of light rays in his eyes are being destroyed because of his unsacred vision. That is the reason what man is developing eye defects. As the attraction power is increasing in Me… you are going to witness many astounding events in future… Even while I am speaking to you now, My feet are being pulled by the earth. If I lift one foot, the earth attracts the other foot. Whatever I touch with My hand, it also gets attracted. This magnetic power is present in every man… I try to lift My foot but it is very difficult. India has lost hundreds of billions of dollars through corruption since Independence in 1948. That’s according to a report from a Washington think tank. It is called Global Financial Integrity. It monitors the flow of illegal money worldwide. It says India has lost an average of US$19 billion worth of assets per year between 2004 and 2008. Nik Gowing: Dev Kar, where does the money go or where has it gone? Nik Gowing: Is the central accusation here one of money laundering or is it just bad accounting? Dev Kar: It is basically money laundering and tax evasion on the part of individuals and corporations in India. Nik Gowing: There is a difference between tax evasion and tax avoidance – one is legal, one is not… which of the two are you saying it is? Dev Kar: Tax avoidance is legal but tax evasion is not. So it is tax evasion and not tax avoidance. Nik Gowing: Is it possible to track the degree or the tempo with which this has been happening since Independence. Can you peg it to a particular government, a particular prime minister? Dev Kar: No. It is not possible to do that with any degree of accuracy. All we can say is that, from 1948 to 2008 there has been a on-going problem and the problem has been increasing, unfortunately, after economic reform started in 1991, because we can see the faster growth of these transfers after 1991. Nik Gowing: Are you saying that you have proof to back up your claims, or are they simply allegations? Dev Kar: No, there is proof to back up these numbers. The strongest such proof is looking at the deposit statistics compiled by the Bank for International Settlements in Switzerland. These are basically private sector deposits in banks and offshore centres. Now, we know these private sector deposits are mostly illegal because exchange control regulations do not allow private individuals in India or corporations to stash away foreign exchange in that jurisdiction without permission of the Government of India. The majority of top political and other prominent figures stash away their gains in foreign currencies in Swiss and diverse offshore banks – evading tax. Sathya Sai Baba pointed this fact out to a former friend of mine, an Indian Administrative Service officer at a private dinner given in 1996 by Mr. Prasad, one of the board members of the Sathya Sai Central Trust. There he told the IAS official, V. Ramnath, that India is not really a poor country, but for its rulers stashing away in Swiss banks an amount of money at least equal to the country’s entire national debt! Ramnath related that Sai Baba said he had warned the Prime Minister and the President (then Narasimha Rao and Dayal Sharma) of this and had instructed them not to make so many super-expensive state visits with huge convoys of vehicles and hundreds of Black Beret commandos wherever they went. But, said Sai Baba, they go on doing it and do not listen to me. So much for the results of the self-appointed renewer of moral values in Indian life! If Sai Baba really were anything like a world saviour avatar controlling the planet, how could it result in such a pig’s breakfast? India is one of the most truly terrible places on earth for its huge number of children in the slavery of prostitution, bonded sweat-shop labour, and its vast number of paupers and illiterates still being driven to city slums for sheer survival. These calamities are enormous and are not diminishing. The endemic nature of Indian corruption: India’s social structure where caste and extended families are the key components of life have led to the culture of nest-feathering by politicians and public officials to an unprecedented degree. Sathya Sai Baba has complained of nest-feathering to numerous politicians, including Prime Ministers and Presidents who worship him, but without any visible result whatever. This shows how, despite all his boasts, he has had no effect at all on improving the very fundamentals of life in India. Once a man gets elected to an office, the entire extended family expects benefits – whether direct financial contributions or, as often as not, the use of influence to improve their employment status or business opportunities. “…see for yourself the enormous control that this being has on the planet”. Of course, the overwhelming majority of people on the planet has not noticed any such huge influence. He has inspired some people to start schools, pay for projects to provide water locally in Andhra Pradesh and to finance two hospitals etc. But these are as drops in the vast ocean of India’s calamitous situation, let alone that of the whole world! With population and poverty out of control, AIDS, corruption and poverty ruling large parts of Africa and Asia and so on. The world’s wilderness environment and countless species and living resources are disappearing faster and faster, suffering and unnecessary death is as rife as ever, I watched Sathya Sai Baba parading for two decades and I eventually learned from many inside contacts, investigation and analysis that he is far from being in control of almost anything he claims to be. He is most certainly not in control of yours truly!